Inkron introduces a New Structural Adhesive and Underfill product line at Printed Electronics Europe 2019 (April 10-11th, Estrel Convention Center, Berlin). 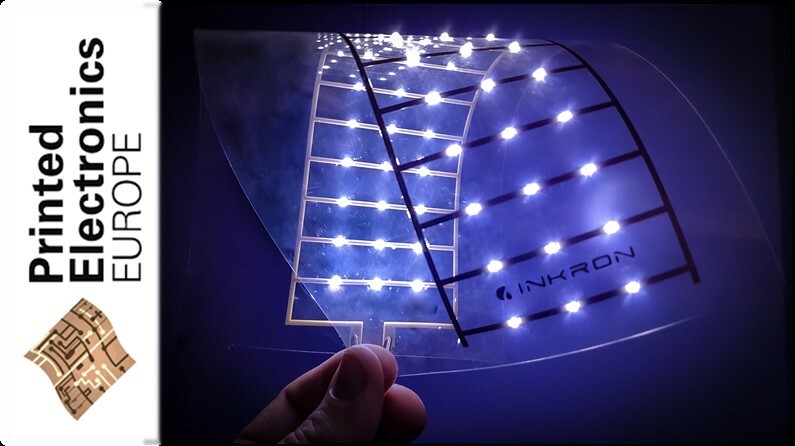 These new adhesives are designed to fully complement Inkron’s existing family of printable electronics products, which also includes stretchable conductors and dielectric inks. Inkron now offers a complete turn-key solution of adhesives, inks and underfills for more reliable printed electronics devices. Applications wherein flexibility, stretchability, thermal stability and overall reliability are required such as In-mold electronics, sensors and wearable applications. The adhesives meet the requirements set by the printed electronics processing industry providing short curing times and low curing temperatures. Inkron VP Dr Jarkko Heikkinen presents a paper on our printed electronic solutions on Thursday at 15.00 pm at Room III. Please visit us at Stand D01 in Berlin and hear more! For inquiries on Inkron products you can further contact us by email info@inkron.com or through our website www.inkron.com.